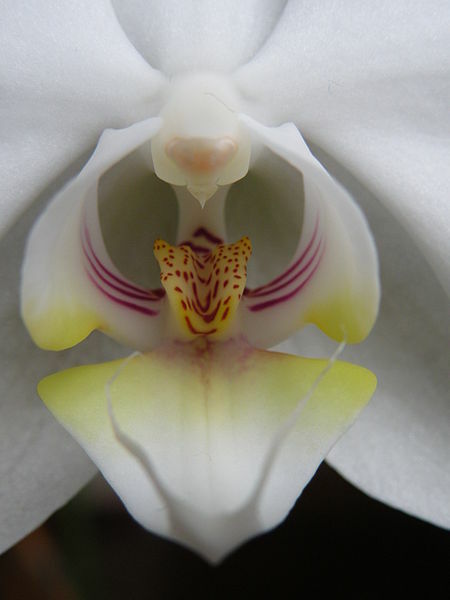 Evidence has been found which proves that orchids existed when dinosaurs dominated the earth. Considered one of nature’s most exquisite gifts, orchids have a magical beauty and allure that is enhanced by the beautiful colours, scents and shapes of the flowers. People are often under the misguided impression that growing orchids is a difficult task. On the contrary, orchids are pretty indestructible plants. With a few tips on the proper care for orchids, thriving blooms can be grown in any place across the globe except the most arid deserts and the frozen land of Antarctica. There are over 150,000 hybrid varieties of the plant and the amazing thing about orchids is that the plants do not take root in soil. Instead, the roots grow in the air attaching themselves to rocks, trees and other fixtures in the ground where they can benefit most from rainwater, moisture and nutrients. Air Ventilation and Constant Temperature: Orchids do not appreciate sudden changes in temperatures. They prefer constant temperatures ranging between 18 to 30 degrees Celsius. Sudden cold snaps will cause the leaves to turn yellow and fall off, and the plant will begin to droop. Electric heaters need to be kept on standby when the climate of the place tends to change suddenly. Water: Orchids need to be watered thoroughly when dry and remember, the plants will use more water during the blooming period. Generally, orchids need to be watered once every seven days; misting the foliage on other days is fine, but directly spraying water on the flowers will damage them and make them the target for fungal attacks and rot. Feeding: A balanced fertilizer mixed with alternate watering should be applied from late spring. In winter, the orchid plants do not need feeding. New growth will start to appear as canes from the base of the old plants. With the right care and feeding, the young plants will be bigger than the mother plant well before the blooming season. Growing Media: Making use of the right media to grow orchids is necessary to have healthy plants. Orchids for the most part require a different type of growing media as compared to houseplants. Soilless mixes with excellent drainage and aeration is required for orchids. Special potting mixes for orchids is sold commercially in gardening stores. Alternatively, combinations of fern fibre, charcoal, peat, fir bark and volcanic stone may be used. Containers: Clay is the preferred container type for growing orchids due to clay being porous. Plastic containers may also be used, but make sure to make additional holes on the sides of the pot close to the base. Blooms: The peak blooming season for orchids begins in late winter (February/ March). Blooms last for approximately 4 to 12 weeks and need to be cut off the spike when they fade. With the right care, orchid plants grow and bloom annually. Air Circulation: Orchids need air circulation to remain healthy and fend off pest infestation and fungal attacks. Air circulation helps to keep the flowers and leaves of the plants dry. James Bentham is a UK blogger writing on behalf of Economy Radiators. He has over 6 years’ experience in writing for the web and particularly enjoys covering topics about the home and garden.